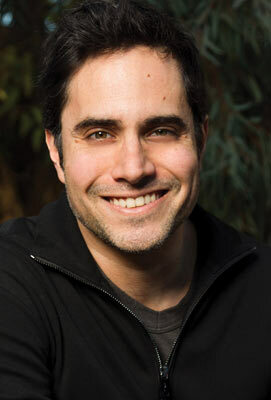 Rajiv Joseph’s play BENGAL TIGER AT THE BAGHDAD ZOO was produced to acclaim on Broadway starring Robin Williams, and was a finalist for the 2010 Pulitzer Prize in Drama. His other plays include GRUESOME PLAYGROUND INJURIES, ANIMALS OUT OF PAPER, HUCK AND HOLDEN, ALL THIS INTIMACY, and he is also the book writer and co-lyricist for the new musical adaptation of Peter Pan, entitled FLY, which will premiere this summer at the Dallas Theatre Center. Rajiv was one of the first recipients, in 2008, of The Vineyard’s Paula Vogel Playwriting Award, given annually an emerging writer of exceptional promise. He developed an early draft of THE NORTH POOL at The Vineyard the following season. 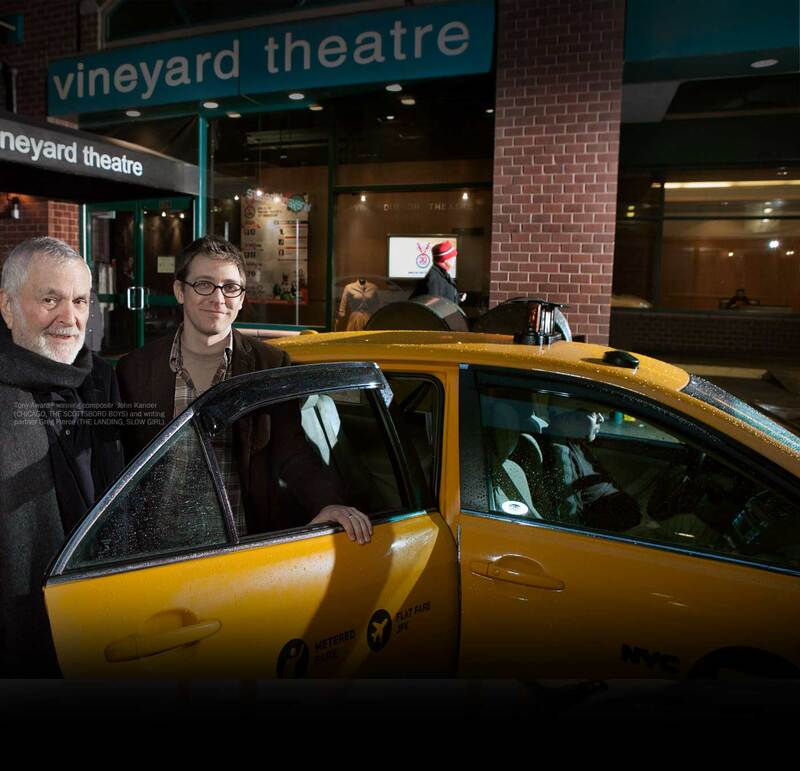 The play went on to productions at TheatreWorks and Barrington Stage, and now comes full circle with its New York premiere at The Vineyard. THE NORTH POOL marks Rajiv’s fifth collaboration with director Giovanna Sardelli. Rajiv answered some questions for THE GRAPEVINE over email between rehearsals for THE NORTH POOL. THE NORTH POOL is a two-character play about a high school vice principal and a Middle Eastern-born transfer student who engage in a politically and emotionally charged game of cat and mouse. What inspired you to start writing the play? I began writing THE NORTH POOL around the same time that I was working another play of mine, BENGAL TIGER AT THE BAGHDAD ZOO. Both stories first emerged from my own early, disjointed thoughts regarding the Iraq War, our country’s relationship to the Middle East, and the growing anti-Islamic sentiment that was pervading our culture. In both cases, I didn’t know from the outset what sort of story I was going to tell, or even how I was planning on telling it, but I think I wanted to see certain types of people (American and Middle Eastern) on stage together and having to deal with one another. It felt like a way to instantly create a dynamic atmosphere in a scene. THE NORTH POOL began as something of a parable for those times, but I soon found out that writing that sort of play would result in having written a very bad and boring sort of play. So I had to abandon the attachment of this piece to the so-called headlines. Once I did that, I began thinking of the two characters as two real and complicated people (as opposed to symbols), and then the real heart of the story began to emerge. Was there something about a cat-and-mouse game that interested you as you set out to write, or did that evolve as you wrote? I wanted to write an interrogation scene. I wanted to watch one character entrap another character in a series of looping questions, and I also wanted to wonder (meaning I wanted the audience to wonder) which of these two characters was telling the truth. You’ve chosen to keep the play set in 2007, the year you started writing it. How does the time period feel significant to the story of the play? The play involves a particular political climate, and also involves certain technologies that are already becoming obsolete. When this play was first produced two years ago in Palo Alto, I stated the time was “The Present”, but as I continued to think about it, and how it might change as time went on, I felt compelled to anchor it in 2007. You spent three years in Senegal working for the Peace Corps. Can you share a bit about how that experience had an impact on you as both a person and a writer? I joined the Peace Corps just out of college. Prior to going to Senegal, I think I liked the idea of being a writer, but I couldn’t back up that desire with any real commitment to the craft, or sense of duty. In part because I was living in a remote village where nobody spoke English-and miles from anyone who did-I turned to my journals as a means to process my experiences. Writing suddenly became a habit. and then, because of that, my skills improved. I can’t imagine my life without those 3 years. I wouldn’t be who I am, and I probably wouldn’t have become a writer. When did you start writing plays? Are there artists or plays that have been a particular influence on you? After college, I wanted to write fiction. After Peace Corps, I wanted to write screenplays, and that’s what led me to NYU’s graduate program. Because it is a Dramatic Writing program, we took both playwriting and screenwriting classes, and I also began going to see straight plays regularly for the first time in my life. A couple of plays that I saw during that time had a giant impact on me: INTIMATE APPAREL by Lynn Nottage and OUR LADY OF 121st STREET by Stephen Adly Guirgis. One of the challenges of playwriting that appeals to me, and differentiates it from television and film, is that there are significant limitations to the theatre that force a playwright to consider creative solutions. When I graduated from NYU, I was accepted into the Mentor Project at Cherry Lane Theater and was lucky enough to have Theresa Rebeck as my mentor. She has continued to be one, over the years. In addition to writing plays, you’ve also written for TV’s “Nurse Jackie”. Do you enjoy writing for television? Did it change anything about how you think about theatre? I loved writing for “Nurse Jackie” and learned a huge amount about the particular craft of TV writing. I wouldn’t say, however, that it changed the way I write plays. The biggest difference between TV and playwriting, for me, is that when you join a TV staff, you’re writing for characters that are not your own, that you didn’t invent. So, in many ways, TV writing involves a sort of mimicry, whereas playwriting draws from a deeper, more personal sense of invention. Is there any advice you’d give to playwrights just starting out? Write the play you’d most want to see, and write the characters you’d most want to see on stage.